That was in the year 1970, when the eyes of Mr. Mohammed Issa Halaika / the founder of the company, opened up on the world of construction and architecture, and itsclose connection with the land treasures, especially the nature of the country and its natural resources as will as the holiness of the place, which contributed in one way or another in supporting and reviving the country's National economy. Since its foundation the company's main concern was to meet the consumers needs and desires in the world of stone and marble with its accelerating development in an effective way. With confident steps forward, the annual average of production of the Halaika Company increased reaching (300000 m²) of different varieties, colors, and standards extracted from five quarries to reach a total area of (150000 m2) by using modern equipments and appliances with renewable modern technology. Taking into consideration the different market needs and the varying nature of production the Halaika Company founded a number of sister companies in the same filed, to include the stone crusher project, the concrete company, which operates according to international standards with a high production capacity. As a result of the efforts of its specialized management, professional, and technical crew Halaika Company for stones and marble was awarded the ISO certificate achieved ISO to enter a new stage of hard work, growth and prosperity. In the year of 1999, the company opened a new branch in Amman -Jordan, thus creating a new breakthrough in towards regional and international markets. The Halaika Company has participated in a number of international and regional exhibitions mainly in Verona - Italy and Shanghai/ Beijing - China and Dubai in the ArabGulf. 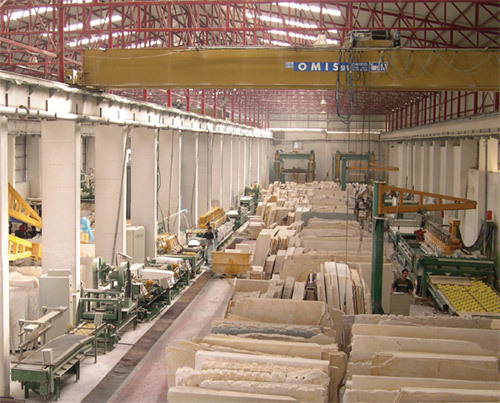 This is the brief story of the creativity of the Halaika Company for marble and stones, which is today a fundamental pillar in the stone and marble industry in Palestine.